26-year-old defendant stabbed his younger victim approximately 86 times before trying to hide body. Mineola, NY - July 7, 2014 - Nassau County District Attorney Kathleen Rice announced the sentencing today of a Freeport man for brutally stabbing a 21-year-old man to death during a fight in October 2012. 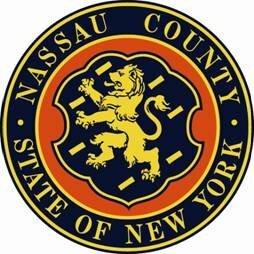 Henry Martinez-Ramos, 26 of Freeport, was sentenced today by Nassau County Court Judge Teresa Corrigan to 25 years to life in prison. Martinez-Ramos was convicted by a Nassau County jury in May 2014 of Murder in the 2nd Degree (an A felony), Tampering with Physical Evidence (an E felony), and Criminal Possession of a Weapon in the 4th Degree (an A misdemeanor) in the brutal stabbing of a 21-year-old in 2012. He was acquitted of Trespassing (a violation).The jury deliberated for approximately five hours at the end of a 10-day trial. DA Rice said that on Oct. 20, 2012, Martinez-Ramos stabbed his victim approximately 86 times in his head, face, neck, chest and hand during an altercation along a secluded one-way street in Freeport. Martinez-Ramos also dragged his victim’s body to nearby railroad tracks and dropped multiple railroad ties above it to conceal it. Martinez-Ramos was arrested by the Freeport Police Department the next day.The victim was known to Martinez-Ramos, with the two having a history of insults and verbal altercations between each other. Assistant District Attorney Daryl Levy of DA Rice’s Major Offense Bureau is prosecuting the case.Martinez-Ramos is represented by Dana Grossblat, Esq. Subject: LongIsland.com - Your Name sent you Article details of "Freeport Man Sentenced to 25 Years to Life for Brutal 2012 Stab-Slay"